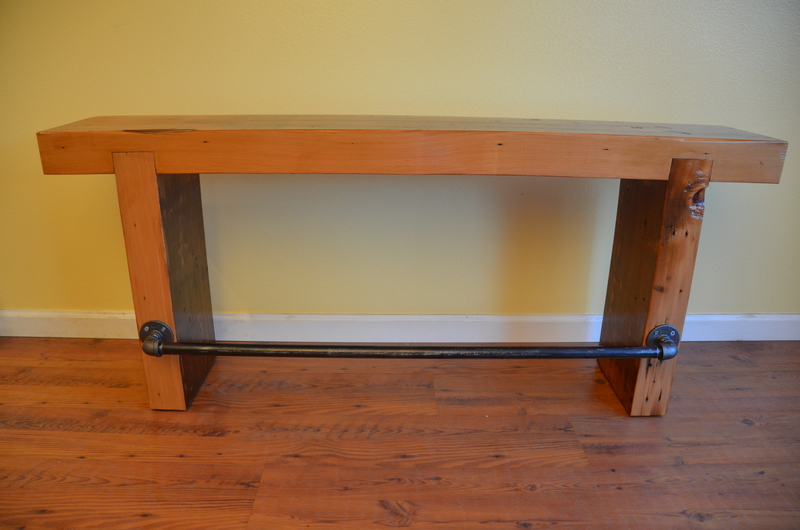 This bench was the old 4″x12″ garage door header that I salvaged from a remodel in Thousand Oaks. 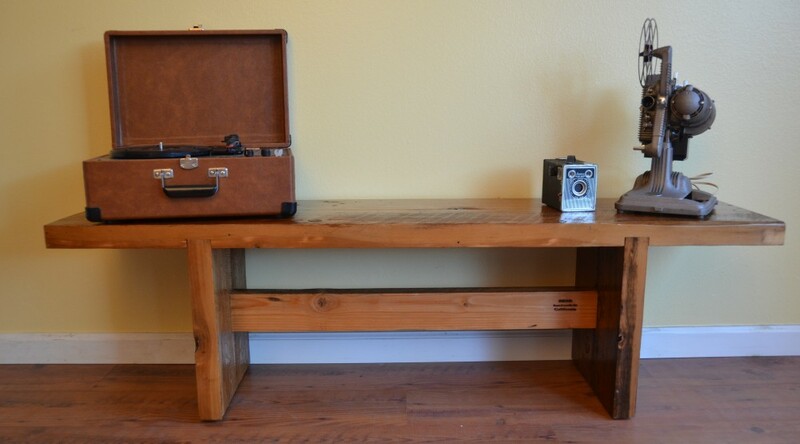 The legs are fastened with Dado joints, and the foot rest is 3/4″ black plumbing pipe. Its finished with 2 coats of semi-gloss polyurethane. This entry was posted in Uncategorized by woodandbear. Bookmark the permalink.